A self-directed individual retirement account, or SDIRA, is an investment option that is gaining popularity around the world. The benefits of establishing an SDIRA are varied, but some of the top advantages include accessing investment capital from your IRA without incurring penalties, legally deferring some taxes, diversifying your retirement savings and taking back control over your hard-earned wealth. While an SDIRA clearly can be a smart choice for many, it is not necessarily ideal for everyone. Learn more about five types of people who should establish an SDIRA and see if you can place yourself into one or more of the categories. If so, an SDIRA might be the next logical step on your financial path. Not everyone wants to call the shots when it comes to their financial holdings and are content to have others manage their assets. If, however, you are eager to learn more and make your own financial decisions, then the logical next step is to establish an SDIRA with a cooperative custodian. An SDIRA isn't an inherently risky investment vehicle. In fact, it can help you to diversify your holdings and preserve your assets for the long-term, should that be your financial objective. It can also, however, be a key tool for those who want to take bigger risks with their accumulated wealth in the hopes of seeing larger returns. By freeing up the assets in your retirement account and moving them to an SDIRA, you can choose alternative investments or investments in developing countries that have the potential to help your net worth soar. Although an SDIRA gives you the opportunity to make your own choices regarding your finances, you will work in conjunction with a custodian. Fortunately, it is possible to find cooperative custodians in some jurisdictions that allow you to take full meaningful control over your assets and investment choices. It is imperative to remember that you will still need to trust these custodians to access your assets and carry out your wishes. Retirement often grants you access to the contents of your IRA, but you may wish to continue investing by rolling assets into an SDIRA. 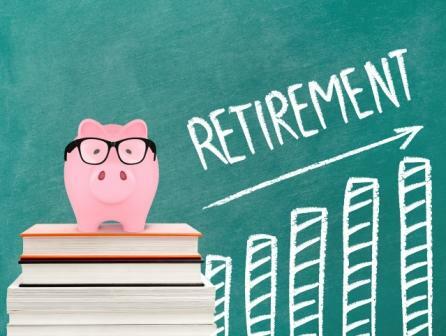 This gives you the flexibility to use your financial knowledge and free time during retirement for your financial gain, and it also may have positive tax implications. For a number of reasons, some investors are wary about storing their largest collection of assets in standard domestic instruments such as stocks, bonds, mutual funds, ETFs, etc. If your IRA is operated by your current or former company, it may have a very limited selection of investment opportunities. By rolling over assets into an SDIRA, you can branch out and add geographic diversification or a greater variety of investment types. This way, your assets won't be linked to a single form of currency or a single banking system. If you can fit into one or more of these categories, then you are an ideal candidate to further explore the potential and options available through an SDIRA.